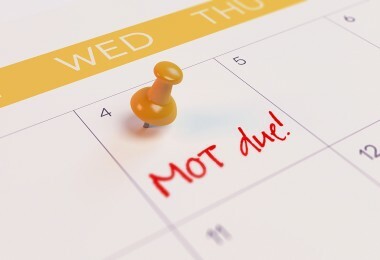 MOTs have been one of the most debated subjects recently, with changes being implemented to help improve the standards and address the emission issue, but also when the car or van should take the first MOT. At Garage Express, located in North London, we monitor all the policy and regulations to ensure our customers are fully informed about any changes that may affect their car and van MOTs. Last year we wrote an article that looked at the potential change to move the first MOT for new cars and vans from 3 years to 4 years. This was a hotly debated subject as many felt the change was unnecessary or even potentially dangerous. The suggested change by the government was largely seen by the motor industry as a change that would not only cause safety issues on the roads but also damage the industry as a whole through a huge reduction in revenue. Many of those supporting the revision to 4 years pointed to a potential saving of over £100m to motorists as a good reason for the change. However, following a public consultation on the subject, motorists were highly critical of the change and cited safety as their primary concern. It is estimated that over 2 million cars a year reach the 3 year mark and therefore require their first MOT. It is also estimated that up to 15% will fail the first test, meaning a potential 300,000 unroadworthy vehicles still in operation across the country and on the streets of London. The result of the public consultation has meant that the government will no longer be implementing the change to 4 years and so maintaining the 3 years before the first MOT. Here at Garage Express, over the years we have seen cars and vans fail their first MOT due to requiring new brakes and/or tyres or having a faulty light. Safety is always our primary concern so we believe that maintaining the 3 year test period is the right decision. Our MOT services are not expensive, some would say that we provide a cheap MOT service from only £34.95, and are easily carried out while you wait in our fully equipped and comfortable waiting room. It’s easy to book either using our online booking form or calling one of our team on 0208 905 8788.